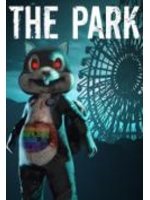 Psychological horror game from Funcom The Park is now available for PC. Built on a small budget and short development cycle, the title deals with the disappearance of Lorraine's son in Atlantic Island Park. The studio says it's a "one to two hour adventure" which relies on storytelling and exploration.